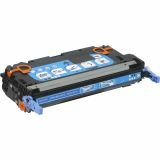 This toner brings out the finer details in your work. 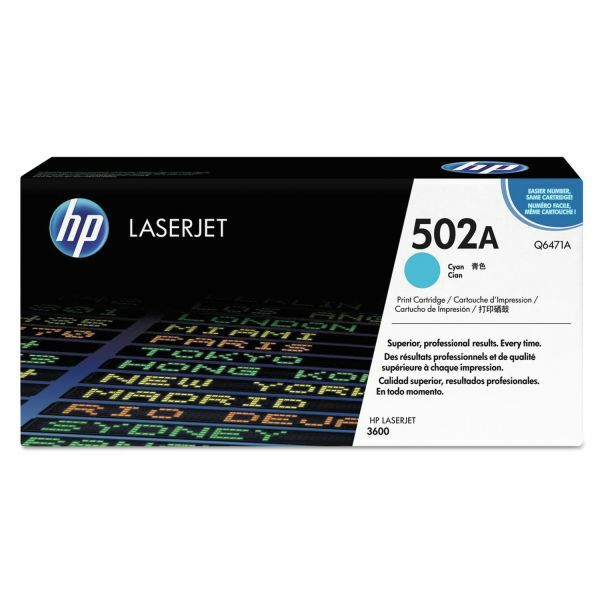 HP 502A, (Q6471A) Cyan Original LaserJet Toner Cartridge - Toner cartridge is designed for use with HP Color LaserJet 3600, 3600n and 3600dn. 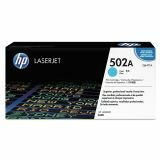 HP LaserJet ColorSphere Toner produces a dynamic range of bright, brilliant colors. With more intense color and more subtle transitions between colors, you get bold graphics and realistic images. Managing supplies is easy with HP Smart Printing technology and HP SureSupply online ordering. Cartridge yields approximately 4,000 pages. 17" x 4.72" x 8.07"